All tracks written and produced for Modjo Music. Track 2 newly styled for Boompty Inc. and Submarine Communications at BHQ, Chicago. A&R Consulting for Submarine Communications. Track 4 recorded live at Hocco. Thx to Fred, Flo @ Farance & Logic. Special thanx to Warwick, SMI, Trace Elliot & Zildjian. Extra shouts to our friends that came to support the band in the studio. Published by Universal Music Publishing. Featuring samples from the Chic recording "Le Freak", produced under license from Altantic Recording Corp. by arrangement with Warner Special Products. "Le Freak" published by Sony/ATV Songs (BMI) and Warner Tamerlane Publishing Corp. o/b/o Bernard's Other Music. 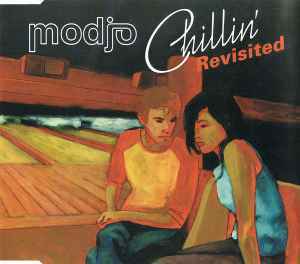 Title appears as "Chillin' Revisited" on the front cover and disc, as "Chillin'" on the spine.